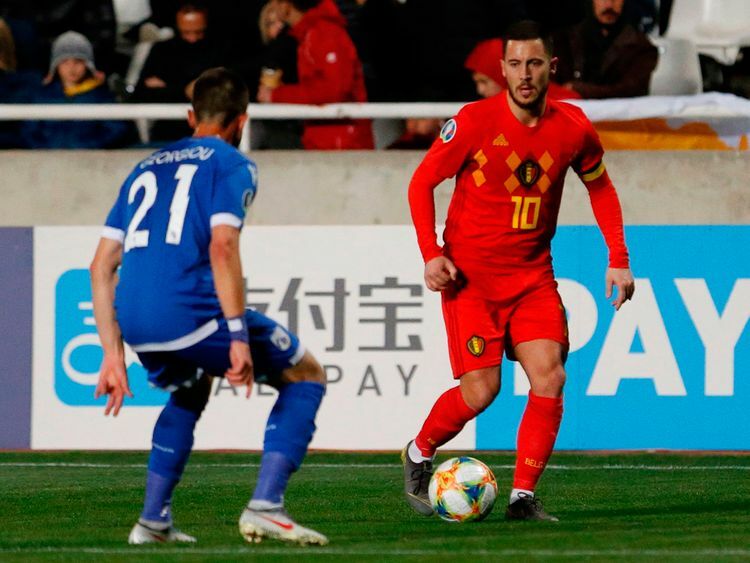 Nicosia: Captain Eden Hazard marked his 100th cap for Belgium as the World Cup semi-finalists strolled to a 2-0 victory over Cyprus in a Euro 2020 qualifier. Real Madrid’s Thibaut Courtois was not tested in the Belgian goal, as the Red Devils breezed through the first half and controlled most of the second. Cyprus beat the world’s weakest team San Marino 5-0 last week, but the Fifa-ranked No. 1 team was too strong for the islanders, who have had the misfortune to draw Belgium in both the last World Cup and Euro qualifiers.